This raw zucchini ribbons salad with mint and basil is topped with a simple honey and lemon vinaigrette and finished with freshly grated Parmesan cheese that gives it a bold flavor punch. The result is a light, refreshing, and versatile side dish. Walnuts or pine nuts would be great alternates to the almonds, just make sure to toast them first for the beat flavor. Per Serving: 227 calories; 14g fat; 17.1g carbohydrates; 13g protein; 22mg cholesterol; 614mg sodium. This salad changed my life. Literally. I'd never really sung the praises of raw zucchini, but now I most certainly do. 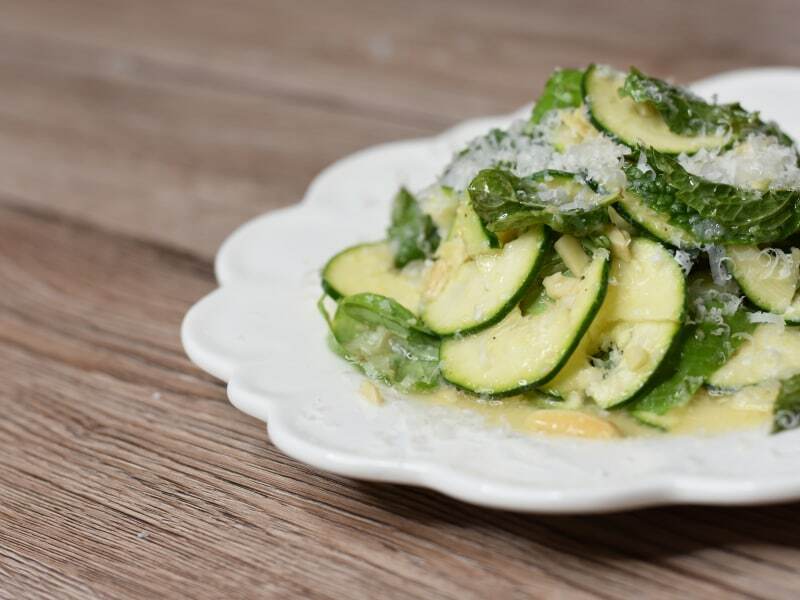 The thin spiralized zucchini slices paired with the mint, basil, and almonds are perfectly complimented by the honey-lemon dressing. Once I started eating this salad I couldn't stop. Next time I might venture into the wild by trying the salad with some pistachios! We grow fresh mint in your yard, and I love using it in this salad! The almond adds a nice crunch too. This is a really easy, simple salad. 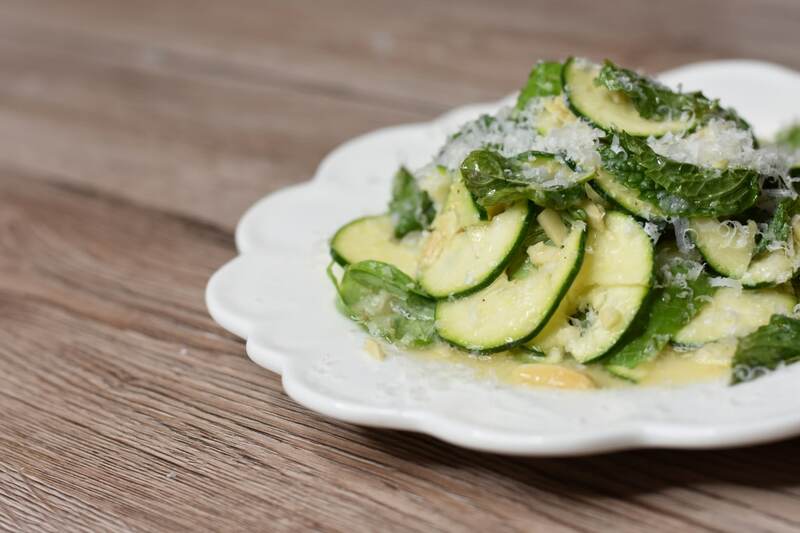 Perfect spring "pasta" and great crunch with the almonds. I've made this with ribbons and using the spaghetti blade. I also use just two tablespoons of lemon juice instead of 1/4 cup. I used toasted pine nuts and it worked perfectly. Just seemed like that was a better pick since I also used basil pesto made with pine nuts. Mint and basil work so well together in this dish. I cut a chiffonade of basil and tossed it in with the zucchini ribbons. I also used toasted pine nuts instead of almonds.